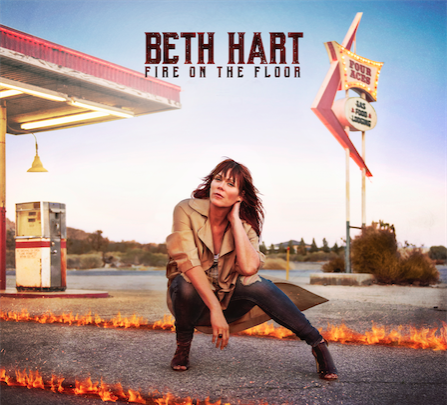 Beth Hart has announced the release for her new album Fire On The Floor set to come out through Provogue/Mascot Label Group. The album will be available in regions of Europe, Australia and New Zealand on October 4th 2016, while regions of the United States and Canada will have to wait until February 3, 2017 to hear the new set of tracks. The difference in release date has been because of the tour dates, as she will end her tour during late September, in the U.S to work on her album, and start her tour again during the early weeks of November in Europe. Fire On The Floor is a collection of 12 tracks with mixed genres, reflecting Beth’s teenage influences. The mix in genres in the album was a result of various exposures to these different genres during this period of life. Beth had said “As a writer, I feel really stifled if I’m trying to write in the same style. I just can’t do that. Growing up as a kid, I was raised all over the place stylistically, loving so many different genres,” to explain the different genres the songs have portrayed in this album. The album artwork and tracklist is shown and listed below. Tickets are still available for Beth Hart’s 2016 US tour on TicketMaster.